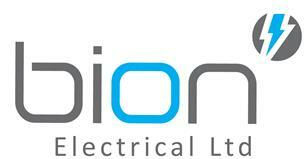 Hi we are BION Electrical; we are a small to medium sized electrical installation company based in Wombourne in the West Midlands. We have over 14 years’ experience in all aspects off the electrical industry, mainly working in the commercial and industrial sectors. We specialise in energy efficient lighting, voltage optimisation, mains distribution, inspection and testing, data, fire alarm and all general day to day installations. We offer a 24hr call out service and are happy to quote any commercial or industrial job you may have and will help with any advice needed.